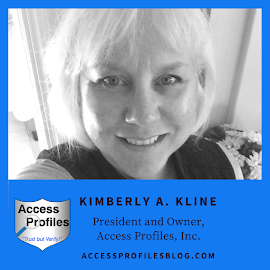 Access Profiles, Inc.: Small Business Spotlight - D'zynes by Sandy! This week’s “Small Business Spotlight” shines on Sandy Collier and her business, D’zynes by Sandy! 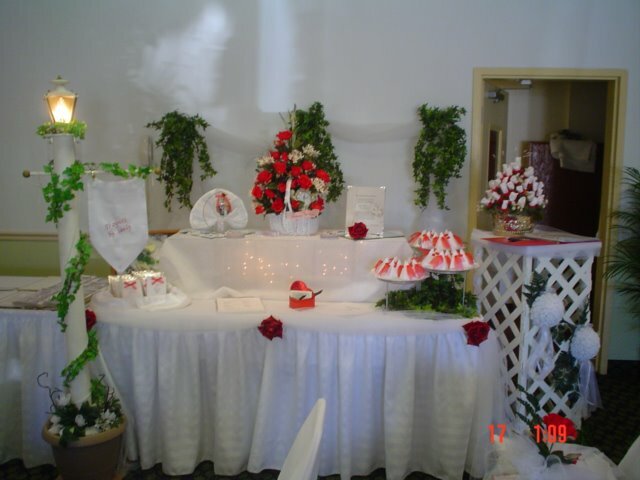 D’zynes by Sandy is a Wedding Planning and Decorating business located in Vesuvius, Virginia. Sandy started the original D’zynes by Sandy about ten years ago when she lived in Florida. Sandy has always loved flowers and crafting. According to Sandy, “if it’s a craft....I’m In!!”. Even before starting her business, Sandy would hold craft nights at her home for anyone wanting to join in. Then, in 1991, Sandy took a photography class at a local community college. Sandy found that she had both a passion and talent for taking pictures. "I made everything except the tables and linens and the clipped roses on the tables"
By this point, Sandy had coordinated several birthdays, anniversaries, showers, and simple weddings. However, she had still not considered making this a career. The death of her sister in 2002 changed everything. Knowing Sandy loved crafting and, in order to get her mind off the tragedy, her neighbor’s daughter asked Sandy for her help in planning her parent’s 50th Anniversary. Sandy didn’t really feel up to it, but she loved her neighbors and decided to help. Sandy also knew that it was a way to occupy herself and was thankful for the distraction. The big day went off without a hitch. A guest, who happened to be a retired florist, even approached Sandy wanting to know where she learned everything she did for the party. When Sandy answered that she had taught herself, the response was “you should do it professionally”! That night, the neighbor’s daughter who had sought Sandy’s help, her son, and his fiance asked Sandy to do their wedding! D’zynes by Sandy had begun! Sandy approaches her business with the “3 D’z” - Dedication, Diligence, and Detail. Sandy loves being able to help busy brides with their planning and decorating. 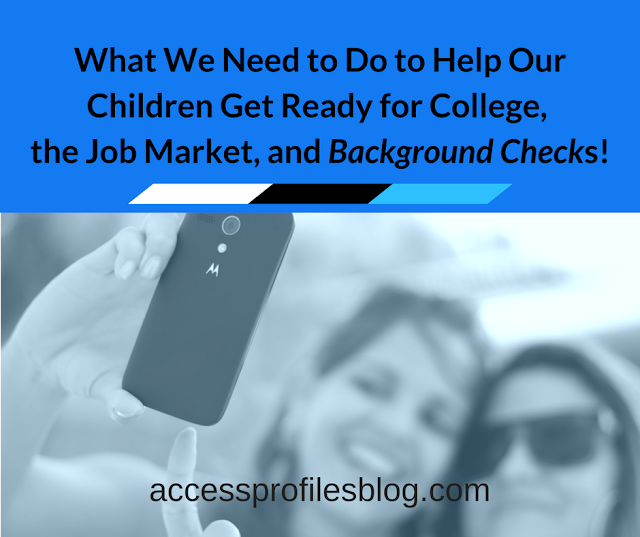 Her goal is to help them save time and money by coordinating as much or as little of their big day as they desire. 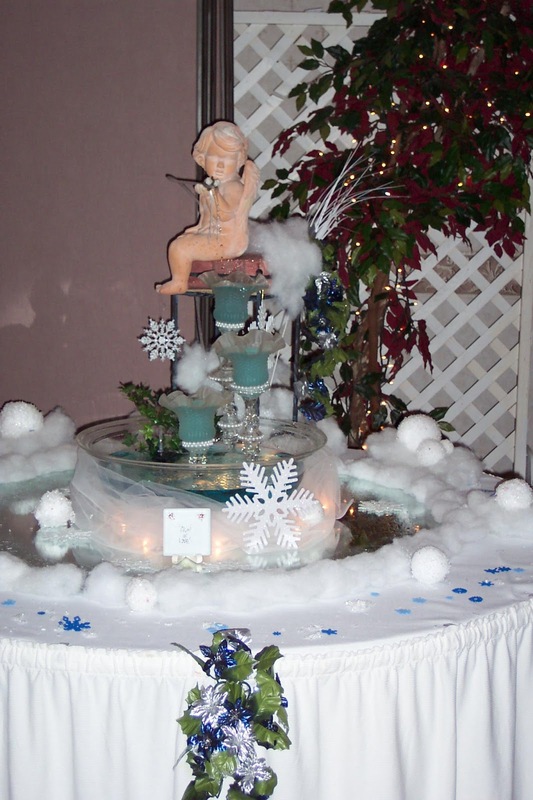 "I design the fountain to coordinate with the wedding, including the color of water." 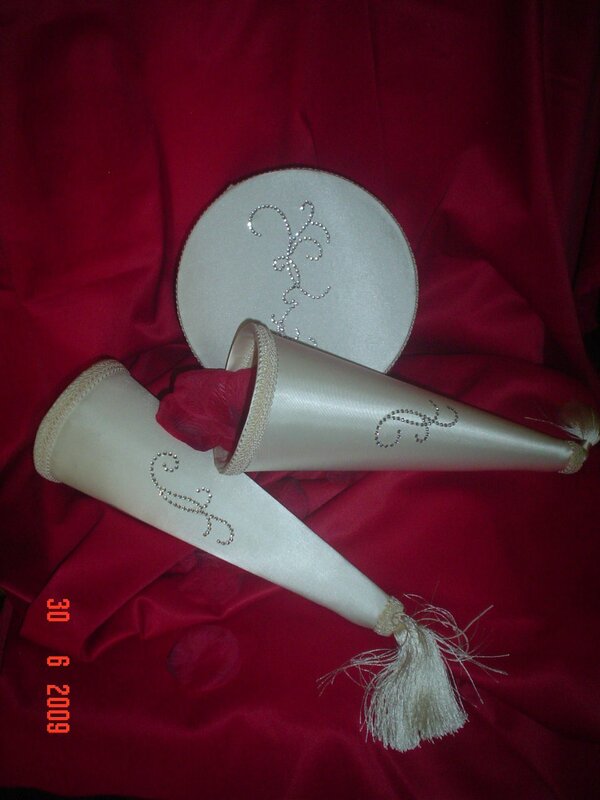 D’zynes by Sandy really specializes in creating the vision that every bride or client has for their perfect party. For those that are too busy, or simply don’t know where to start, D’zynes by Sandy is there for you from the beginning to the end. With Sandy’s skills, she can offer the best of both worlds, planning and decorating. D’zynes by Sandy is truly a “one-stop shop”! D’zynes by Sandy will work hard to not only meet, but exceed, your dreams. Sandy is very detail oriented and believes every piece of the puzzle, no matter how small, is important. 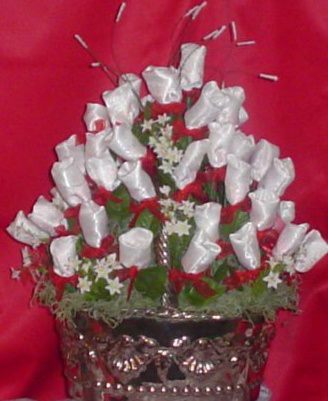 Tossing Fabric Roses - "These are filled with candy for a bridal show, but usually filled w/ bird seed for tossing at couple". "A bride wanted some Bling. Buckles can be expensive, so I made these!" Sandy offers many different services to help make your day special, all while staying within your budget. Sandy can help you choose a venue, book vendors, plan the ceremony, schedule rehearsals....anything you need to make the day run smoothly. In addition to her planning services, D’zynes by Sandy offers Decorating packages that can be used alone or added to any of her planning packages. 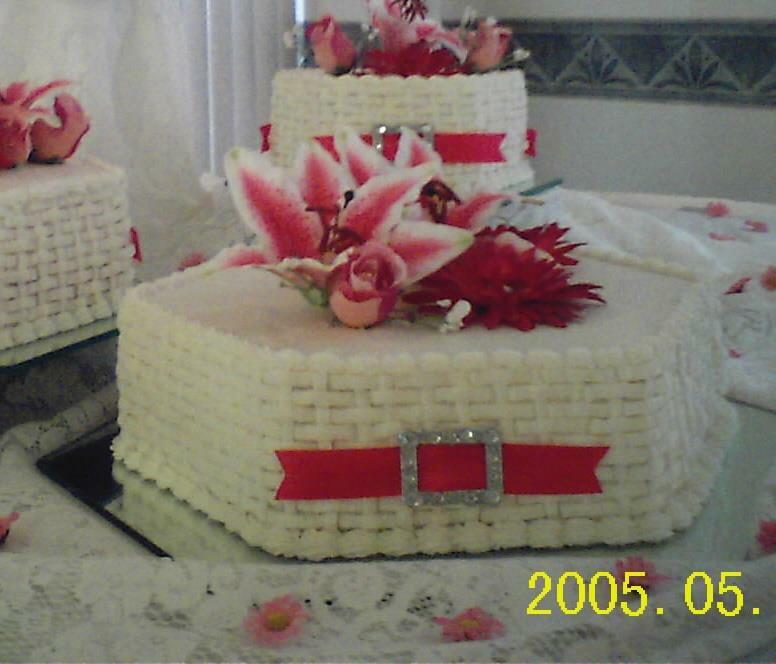 Sandy can add something as simple as favors, floral arrangements, or full-service decorating. Simply put, for Sandy, your day is “Our Business”! Read more articles in the “Small Business Spotlight” series in my blog (visit or subscribe here). You can also check out more about Small Business at www.accessprofiles.com. Thanks!